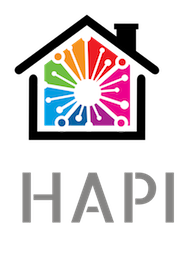 HAPI is a joint redevelopment between Harcourts and SmoothPay of a much older (1999) desktop product that provides Harcourt's Franchises with payroll integration between Harcourt's Trust system and SmoothPay. This new edition is online, has much more advanced enquiry and export facilities (esp. for accounting integration) and provides an API for collecting agent commission transactions for payroll. Bookmark this page to access both goPayroll and HAPI. HAPI to Xero example: Make sure the right information gets from your Trust system to Xero via HAPI and goPayroll. This example shows a working scenario. SmoothPay provides our own branded TeamViewer support tool for all remote support and training (we recommend saving it to your desktop for easy access).